The core feature of Amazon same day delivery is the speed of delivery. The service enables you to receive packages within the same day. However, not all items qualify for same day delivery. Amazon designates the items that qualify for this service. Participants need to be part of the Amazon Prime service to qualify. The service is free to some members depending on if they subscribe to Amazon Prime. For those who would like the service without subscribing, they will have to pay money to access the service. It is especially important when you forgot to buy gifts for an anniversary or something similar. Amazon is renowned for its lightning-fast delivery and its ability to sell almost anything online. The company often takes in revenues worth over $61 billion annually. The huge company started in Jeff Bezos’ garage, the founder of Amazon. The company owns so much storage space that the square footage is more than that of 700 Madison Square Gardens. Amazon initially started as an online bookstore. Later on, it diversified into the sale of DVDs and electronic media such as MP3, video games, software and the like. The company has since expanded beyond the United States into Europe and South East Asia. The company has enjoyed quite a lot of success in these foreign markets. Today, Amazon is one of the largest providers of cloud computing services in the world. The capacity it holds is unrivaled by any other globally. Amazon does not make its deliveries; it collaborates with renowned parcel services like UPS. However, that could soon change as the company seeks to launch its in-house delivery service. The same day delivery is only available in certain areas. The service operates seven days a week for most of the year. However, the company does not offer the service Christmas Day, New Year’s Day, and Thanksgiving Day. Additionally, the service is only available for residential addresses only. 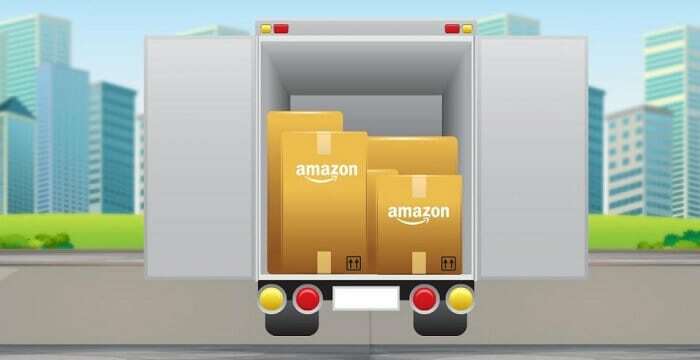 The Amazon same day delivery service is available in Sacramento, Stockton, San Francisco Bay Area, Fresno, Los Angeles, San Diego, Tucson, Phoenix, Dallas/Ft. Worth, Nashville, Atlanta, Tampa Bay Area, Louisville, Cincinnati, Indianapolis, Chicago, Milwaukee, Raleigh, Charlotte, Orlando, Richmond, Washington D.C., Philadelphia, New Jersey, New York City, Boston, Baltimore, and Boston. The amazon same day delivery is only viable if it appears at checkout. The time for evening deliveries is between 18:00 and 21:00 seven days a week. Some items require that you sign for them. If you are not home, delivery will suffer delay until the next evening. Evening delivery expires on 12:00 on most times of the year. On holidays and other days, the deadline may be earlier. Same day delivery depends on the number of items your order. At times, the option may expire when you order multiple items. The reason for this is that there may not be enough of the items to fulfill your order. You may choose to wait or until stocks are replenished. If you order an item on the same day delivery basis, it should appear at your home by 21:00 local time. Firstly, you must be in one of the same day delivery zip codes to qualify for this service. The fees charged for this service differ depending on whether you are a prime or a non-prime member. Prime customers do not have to pay a dime for any order that is above $35. If a prime member makes an order that is below $35, they have to incur a $5.99 charge on every order. The non-prime members have to part with $8.99 for each order. Additionally, there is a $0.99 charge for each item. Amazon gift cards $3.99 per order for everyone. The rates only apply to products sold by Amazon. The rates may vary for items that are available at market sellers. Each market seller is eligible to set his or her rate. The company is about 21 years old since its founding. Originally, there were a number of names that were suggested for Amazon. One of them was Cadabra. However, a lawyer rejected that because he misheard the word. There was also a plan to call the company Relentless. One interesting fact that people do not know is about its logo. It features an arrow that points from A to Z. The log is designed to show that the company offers all products from A to Z. It is also worth noting amazon’s two-day policy. Each year, even the CEO must spend at least two days at the customer service desk. It helps all employees to understand how all aspects of the company works. Amazon is also renowned for how it treats its employees. The company has an educational program that pays 95% of all tuition fees for employees that want to expand their skills into the job market. Amazon was a company that was built from humble beginnings. It excelled due to a commitment to quality service delivery. Its commitment to meeting the customer’s needs when all other have said it is not possible is what has given it 20% of the market share. The rest of the market is left to thousands of e-commerce retailers. For those who have used any of Amazon’s services, they will attest that they are of a high quality. Leave a comment below about what you think of this company’s retail services. Hey Buddy!, I found this information for you: "Amazon Same Day Delivery 101: Areas, Hours, Fees". Here is the website link: https://all2door.com/amazon-same-day-delivery/. Thank you.